Last night we enjoyed our very first Rising Soci@l Star Talent Search party along with our friends, judges and incredibly talented finalists at Surry Hill’s Golden Age Cinema and Bar. There was some concern earlier in the day that a large chunk of our Melbourne-based finalists wouldn’t be able to make it due to runway closures at Sydney Airport. We were thankfully able to have everybody in our company bar the lovely Ben McNamara and Tayla Gentle of Two Humans Travel. We had the pleasure of welcoming judges Tim Duggan, co-founder and publisher of Junkee Media, Christina Butcher of Hair Romance and Kate McKibbin of Drop Dead Gorgeous Daily. Kate is also founder of #RSSAU’s education partner Secret Blogger’s Business, who will soon welcome our four Rising Soci@l Star winners into their elite digital academy. MC Alicia Doumanis of Snapchat kicked off the proceedings by welcoming Managing Direction of The Remarkables Group and founder of Rising Soci@l Star Lorraine Murphy. Our beauty finalists Vanessa Gollasch of Flip & Style, Nikkia Cherry of NikkiaJoy, Ash McLeod of The Beauty Collection, Jade Reece of ThatBloggerJade and Tina Yong assembled for their big moment. The divine Nikkia Joy took the crown and the stage for an impromptu speech as her lovely partner Brandon watched on. 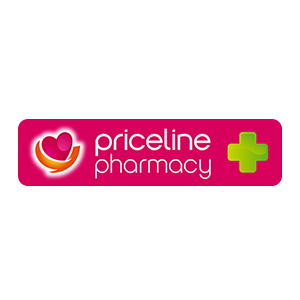 Robyn Simper of Priceline Pharmacies made the big announcement. Next up was fashion, contested by Jessica Ricci, Sophie Benbow of SophieLuxe, Alex Paterson of What The Teacher Wears (who was sadly unable to make it) and Madeleine Smith of The Style Smith. The gorgeous, gracious and Bonds-obsessed Sophie Benbow took the prize announced by Bonds rep Kedda. After a short break for some ‘hand food’ in the form of some seriously sizable burgers, the wonderful Tim Duggan talked to the crowd about the important role that true digital influencers play in the current media landscape. #RSSAU Wellbeing finalists Ellie Parker of EatWithElle, Alice Balcon of AliceInHealthyLand, Tilly Lock and AJ Clementine lined up for their time, before the beautiful AliceInHealthyLand took the top prize, presented by Robyn Simper of Priceline Pharmacies. Next was travel, featuring finalists Ben McNamara and Tayla Gentle of Two Humans Travel, Sylvia Huang of Oh Sunny Mornings, Victoria McEwan and Elaina Bird of The Freedom Travellers and Jaharn Giles of Mister Weekender who arrived direct from the airport after arriving from Athens. Talk about dedication! The effort proved worth it in the end as Jaharn accepted her winning award. Qantas judge Clarabella Burley of Qantas was unable to attend, so Christina Butcher of Mr & Mrs Romance kindly stepped in to make the announcement. All winners receive $4,000 cash, a brand ambassadorship with Bonds, Qantas or Priceline, a scholarship to Secret Blogger’s Business, a six-month exclusive contract with Rising Soci@l Star, a feature in Collective magazine and an appearance at Vivid Ideas. The Rising Soci@l Star team was totally over the moon to discover that many finalists have arranged catch-up dates together in the weeks to come. The exhilarating energy in the room left us feeling a huge sense of success to have created a real-life arena for up and coming influencers to connect with one another, even if weren’t able to give everybody a trophy. Stay tuned for professional photos of the night, plus plenty more (seriously exciting!) Rising Soci@l Star announcements in the coming weeks.